Dynasty Upholstery specializes in both carpentry and upholstery. Each furniture piece is meticulously fabricated by hand and is made to order in their Mid City workshop. Utilizing techniques learned over generations within their family, Victor and Cesar stand proud of what they have built and accomplished over the years. Brothers Cesar and Victor Negrete, born and raised in Mexico City had what few would call a normal city life. With their mother working long hours, Cesar and Victor kept themselves busy in the streets, studying at school and learning carpentry from their father. Wanting to be able to better provide financially for his family, Cesar took up an apprenticeship with his Uncle, a Los Angeles based upholsterer. Victor later followed in his brothers footsteps and both were in Los Angeles by 1993. 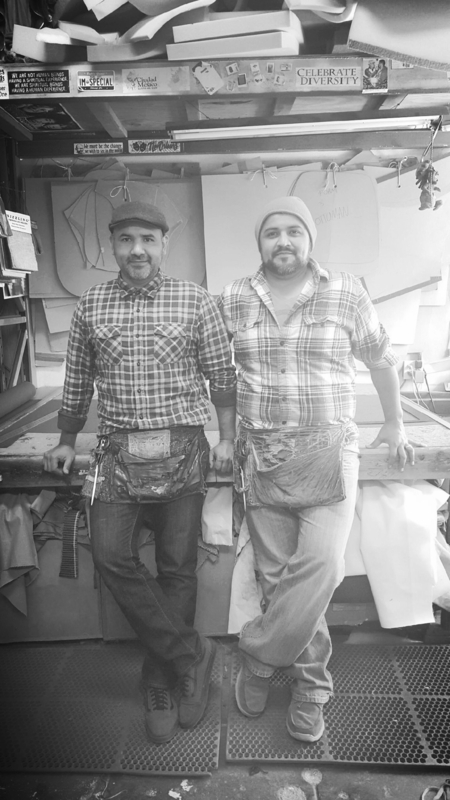 After over a decade of apprenticeship under the thumb of their Uncle, Cesar and Victor opened Dynasty Upholstery in 2005 and have been busy at it ever since.